The Blot Says...: MondoCon 2017 Dates Announced & Early Bird Weekend Passes Available Now! MondoCon 2017 Dates Announced & Early Bird Weekend Passes Available Now! 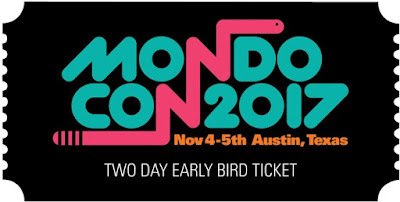 Yesterday, Mondo made a surprise announcement of the official dates for MondoCon 2017 – November 4th– 5th – along with an initial lineup of exhibitors and artists! 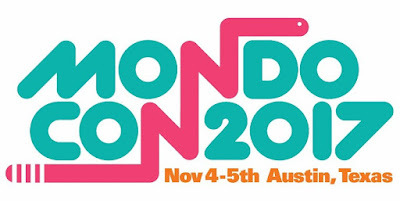 For its fourth year, Mondo wanted to enhance the fan experience and their connection to the city of Austin, and so they are moving the convention to a new home. 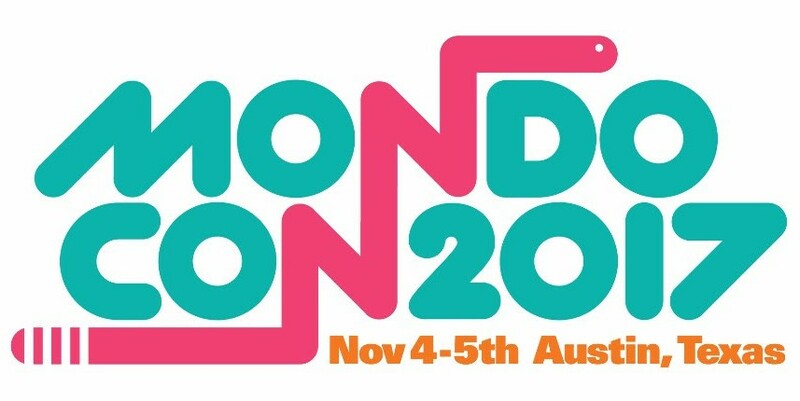 This year MondoCon will be taking over the Austin American-Statesman building (at 305 S. Congress Avenue) in downtown Austin, TX, and occupying the space that used to house all of their old printing presses for a truly unique environment for the weekend's activities. But that’s not all! Mondo will now be hosting their evening screenings at the Alamo Drafthouse on South Lamar, which was home to Mondo for many, many years. The full MondoCon 2017 program schedule will be unveiled in the coming weeks and months, but Mondo is thrilled to announce the first round of confirmed artists and exhibitors in attendance (which you can see below). In the meantime, you can now purchase Early Bird Weekend Passes to the convention now! A two day pass to MondoCon 3 can be purchased here for $89. Saturday and Sunday single day tickets will be made available later this year. The Official MondoCon 2017 Line-Up Round One: Martin Ansin, Oliver Barrett, Richey Beckett, Florian Bertmer, Jonathan Burton, Scott C, Sam Wolfe Connelly, Becky Cloonan, Daniel Danger, Craig Drake, Aaron Draplin, Jason Edmiston, Francesco Francavilla, Nicole Gustafsson, JJ Harrison, Industry Print Shop, Jock, Rob Jones, Alex Kirzhner, Rory Kurtz, Landland, Dan McCarthy, Mike Mitchell, The National Poster Retrospecticus, Randy Ortiz, Alex Pardee, Phantom City Creative, Eric Powell, Gary Pullin, Retroband, JC Richard, Jay Ryan, Justin Santora, Mike Saputo, Scarecrowoven, Todd Slater, Stan & Vince, William Stout, Matt Taylor, Tiny Kitten Teeth, Matt Ryan Tobin, Kevin Tong, Unbox Industries, The VACVVM, Teagan White, Erica Williams, and N.C. Winters.